Our Mobile Expert technicians are highly trained to undertake different proven methods to repair iPhones. 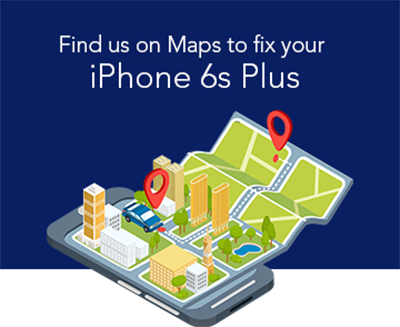 When people search asking, “Where to repair my iPhone 6s Plus in Brisbane?” we pop up as high-quality iPhone repair service having a skilled group of technicians. Apart from repairing iPhones, we repair iPad and computers, and you will find our services available 24/7 for booking. We offer 6 Months warranty, do fast repairing and come to your doorstep to repair devices as per your convenience. Well, texting or watching your favourite shows online with a broken screen could be a bit annoying. Even, water damage is nothing less to make your iPhone dead. Well, like other electronic gadgets, iPhone may come across accidental damage. But, where to find a reliable solution for your damaged iPhone? Well, we, at Mobile Expert have the professionals to deal with all kind of damage pride ourselves as specialised one in this field. No matter how carefully you handle your devices, accidental damages are common to happen. Whereas cracked screen is most occurring damage, our highly trained tech experts handle iPhone screen related issues at ease. Water damage is the most degrading situation for any gadget you handle. Even if your iPhone 6s Plus come with water and dust resistant feature, water seeps into your device through cracks and affect the motherboard. Out experts understand your urge of using a high-tech device iPhone, and hence we provide quick servicing. So, move fast and reach our technicians to troubleshoot and replace any parts to get an iPhone working as good as a new one!